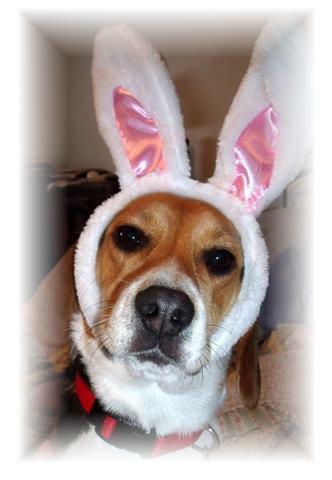 I think Sassy is every bit as cute as the real Easter Bunny!! Sassy doesn't look really upset about her picture or she wouldn't have set that still for it. I do like the picture. We still have snow, but it sounds like we are going to have a week above freezing which maybe will help melt some of our snow. We had sunshine today. Sassy is very special. What a cute bunny. Somehow-Sassy will get even. Make sure you put your shoes safely away! This picture did make me laugh out loud!!!! !